One Owner, Clean CARFAX History! 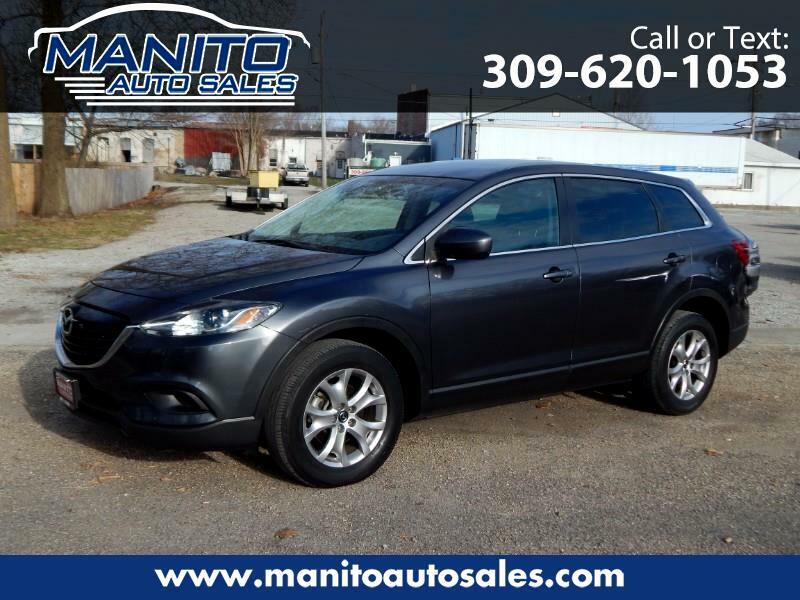 Just added this beautiful 2015 Mazda CX-9 to our growing inventory! Message: Thought you might be interested in this 2015 Mazda CX-9. This was our first time buying from a dealership, and Brody absolutely made this an A++ experience! From the first interaction to the last, he approached everything with our needs in mind, and really proved that customer satisfaction is his priority. He accommodated our odd schedule and was open to meeting us outside of regular hours to look at a car we saw online. We drove from Bloomington-Normal and he had the car warmed up for us, waiting for the test drive. There was never any moment that he was pushy for a sale or trying to sell us something we didn’t want. Needless to say - we fell in love with the car, and definitely were impressed by Brody and his dedication to his business and customer service. When we came back the next day to pick up the car it was dark and pouring rain - we pulled up and Brody was installing new wipers on it for us! Memorable customer service is about doing the little things for your customers - and supporting this small business will be something we do again when the time comes. Thank you Brody for your kindness, and we’ll be spreading the word!